The concept of eye tracking, or neuromarketing is one of the fastest growing marketing sciences. It aims to understand and obtain knowledge on how people gather information, and what influences their actions and decisions. 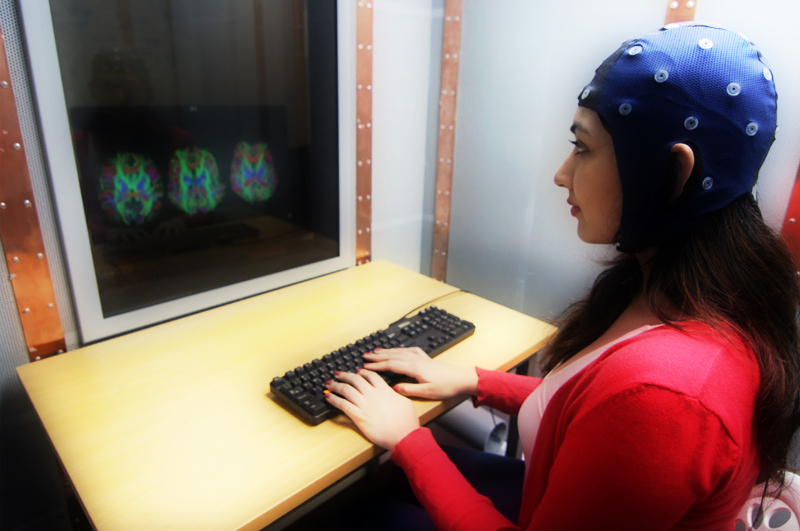 Advocating the use of eye tracking techniques in Malaysia’s business field, Associate Professor Motoki Watabe, the co-chief researcher of Neurobusiness Laboratory at the School of Business, Monash University Malaysia, introduced the unique capabilities of eye-tracking and EEG (electroencephalogram - to record electrical activity in brains) techniques. The eye tracker can be incorporated into research and applied into marketing practices - to develop effective advertisements, brand campaigns, packaging, retail environments as well as to understand consumers’ perceptions towards brands and their products. Associate Professor Watabe also shared how eye tracking helps to study human behavior and to measure one’s visual attention. It involves the process of measuring eye movements to determine where a person is looking, what they are looking at, and the duration in which their gaze is in a particular spot. The same can be applied to marketing. “It is important to know what kind of shape and package of product are we looking at, taking into consideration how the design can grab the attention of the audience.” he said. Take for example a shampoo advertisement. Choosing a model for the product always affect the common factor - physical appearance. However, by having the model hold and gaze at the shampoo, we too eventually will stare at the product as well. Hence, it is crucial to understand the concept of neuromarketing and its purposes. In early 2019, Associate Professor Watabe aims to continue his research on the eye tracker. He is looking at how easy it is for older persons to navigate the public transportation system in Malaysia. His plan is to have 30 older Japanese people living in Malaysia take part in this experiment.